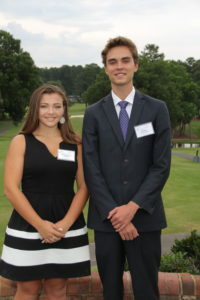 The Durham Sports Club Scholar-Athlete Awards Night was established to honor the top scholar-athletes in Durham’s high schools. 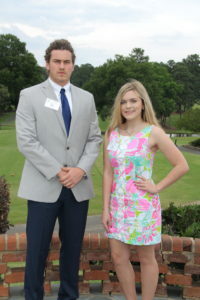 The Athletic Director of each public and private high school nominates one senior male and one senior female for these awards. 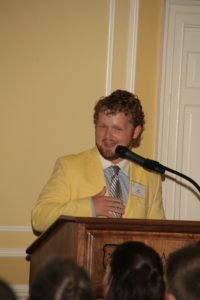 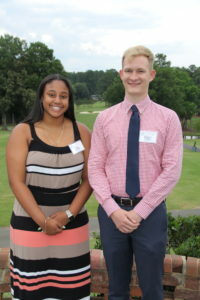 A committee of Durham Sports Club members then selects winners of scholarships totaling $6,000. 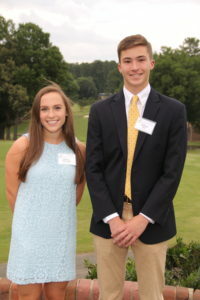 All of the nominees, along with their parents, Athletic Director and Principal, were honored at a dinner banquet on June 7th, 2017 at Croasdaile Country Club. 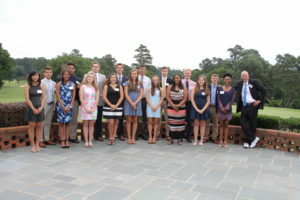 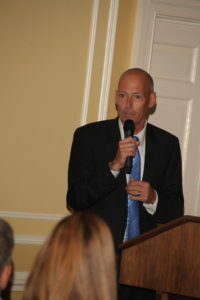 At that time, the Club presented each school’s Athletic Director with a donation for their athletic departments, and the scholarship recipients were named. 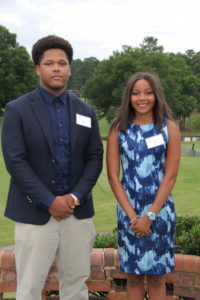 The evening was highlighted by our keynote speaker, Mick Mixon, the “Voice of the Carolina Panthers”, and presentations by Larry McDonald, Athletics Director of Durham Public Schools, Colette Cambey of Vassar College and Lee Rodio of Duke University, recipients of scholarships in 2016. 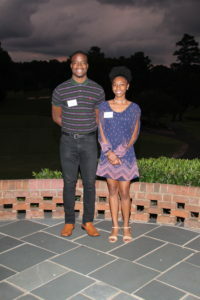 Beginning in 2011, the scholarships that one boy and one girl receive have been “named” to honor Mildred Barnes and Harold Strawbridge, two people that have made significant contributions to the establishment of the Durham Sports Club Scholarship Foundation. 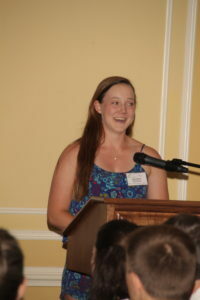 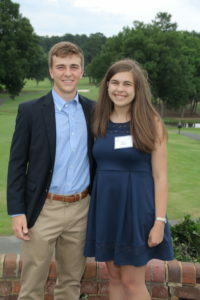 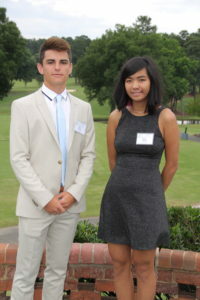 2017’s winner of the “Mildred Barnes Scholar-Athlete Award” for girls was Rachel Ruderman from the North Carolina School of Science and Mathematics, and the 2017 winner of the “Harold Strawbridge Scholar-Athlete Award” for boys was Lawton Ives, also from the North Carolina School of Science and Mathematics. 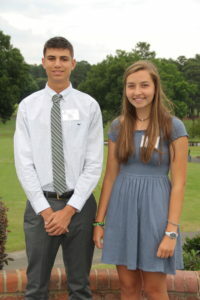 Northern High School – Carl Fowler & Abby Jennetta .